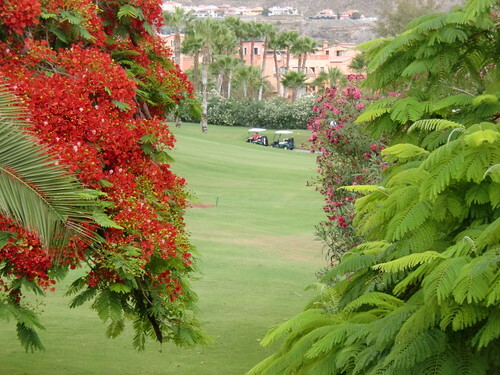 How highly is Tenerife golf regarded among golfing experts? The answer is clearly very highly, the recent election of Irelands’ North and West Coast Links as European Golf Destination for 2011 by International Association of Golf Tour Operators (IAGTO) was a close run thing and right there in the chasing pack of five runners up was Tenerife. The prestigious award is voted for by 1,200 golf industry representatives and was announced at the International Golf Travel Market annual conference run by Reed Exhibitions in Valencia. Itâs no surprise that Tenerife rubs shoulders with the best golf venues in Europe, the climate and fantastic settings encourage good golf to flourish here. Golf Las Americas is proud of its own standing as one of the top courses in Tenerife, a dedicated team of professionals ensure that the course is always at its best and ready for play. For convenience alone Golf Las Americas scores highly, the best hotels and conference facilities are just a short stroll away as well as the beaches and night life that put Playa de Las Americas on the tourism map. maybe you should pop in for a round soon.